1. Consult us – Reputable contractors such as ourselves strongly advise against doing any repair work yourself. According to the Federal Occupational Safety and Health Organization (OSHA), falls account for as much as 39.9% of work-related fatalities in 2014. As an established, licensed, and experienced roofer, we can fix or replace your roof using the proper safety tools. We also provide a customized solution to every roofing problem, whether it’s a small patch job or major emergency repairs. 2. Assess the extent of repairs – We offer free, no-obligation inspections if you need to assess the damage and the amount of work for your Hammond roofing. We can also do the complete and accurate assessment during our first visit. 3. Prepare your budget – We can give you an idea of the estimated time and cost so you can financially prepare for the repairs. As with any repair and remodel work, it is generally a good idea to set aside a contingency fund for emergencies. 4. Set a schedule – Homeowners regard summer as the best time for repairs and maintenance, especially when you have school-aged children. However, keep in mind that contractors tend to be fully booked at the same time, so schedule your repairs as early as possible. Before the upcoming winter season would be the best time to schedule preventive maintenance. 5. Prepare your home – Finally, you’ll need to prepare the home. Depending on the extent of the repair work, it may take an entire afternoon or several days. You should cover the furniture and move things out of the way. You should also establish a clear path because we may need to go back and forth through your home during the process. Consider renting a short-term self-storage and/or a hotel room if the work will take longer than overnight. 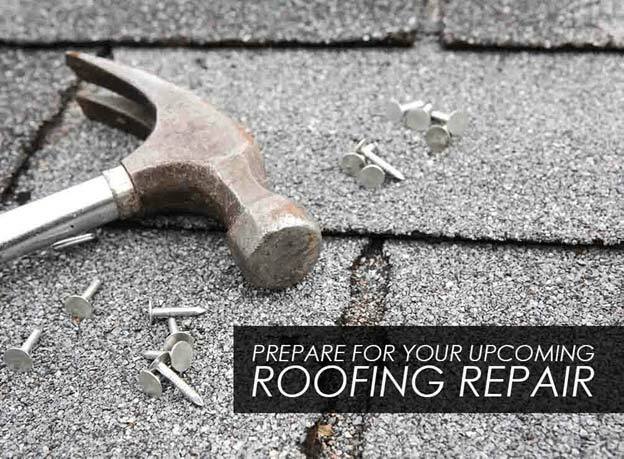 The best way to protect yourself from unexpected repairs is to schedule regular roofing maintenance. If you would like to learn how we can help, call Rogers Roofing today. We specialize in roofing services as well as siding and windows in Hammond, IN. If you live around Indiana, you can call us at (219) 228-8210. For Illinois homeowners, you can reach us at (773) 492-2270. You can also fill out our contact form and we’ll get in touch with you as soon as we can.